Security and compliance drive improvements in the efficacy of identity governance, which directly impacts Identity Access Management (IAM) and Privileged Access Management (PAM). With the digitalization of tools and processes becoming ubiquitous, new trends such as cloud computing or BYOD increase the threats on information systems, thereby creating pressure to make identity-based security controls even more robust. 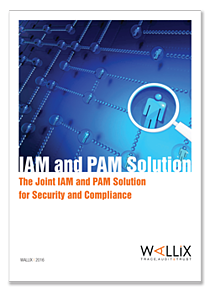 This white paper illustrates how joint IAM-PAM solutions can perform in this task to strengthen overall security and compliance. Download this guide by filling out the form.